The Fall 2017 Season Starts September 11! The best beer league in Houston will be returning for its 6th season at the Eighteen Twenty Lounge on September 11, 2017. There will be an 8 week season, followed by finals. 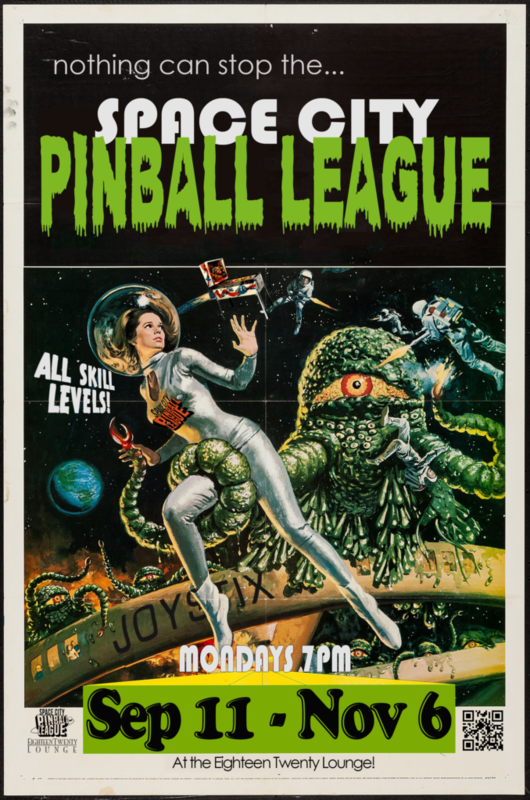 The Space City Pinball League offers friendly competition for players across a wide range of skill levels, from complete newbie to seasoned star. Our host, the Eighteen Twenty Lounge, provides a fresh array of new games each week. The league is a great opportunity to meet new friends, learn the rules to the latest games, and pick up some sweet flipper skills. If you are interested in learning more about the league, please email phil@spacecitypinball.com or visit us on facebook! The full schedule can be found on our Calendar page.